When you are looking for an affordable Auto mechanic it is important to understand the difference between price and cost. Usually consumers will get several prices from four or five repair facilities before they decide where to bring their vehicle. When all other things are considered equal, the winner is usually the one with the most reasonable price. This is where even the most honest auto tech can get themselves into a pickle with the customers. A price that is given to the customer over the phone is a “sight unseen” estimate. They don’t know until the vehicle arrives what kind of previous maintenance the vehicle has had or if the problem given over the phone is even the right problem. Sometimes it might be the right problem, but they might have a better solution once they see it with their own eyes. We are the Areas Go-To Auto Mechanic in Wycombe PA! An affordable automotive technician is not always the cheapest. They are looking at each situation individually for what is the most economical and cost effective approach. At Ryan's Auto Repair we offer free basic inspections and free estimates. We have found that the best way to avoid upsets is to get a full picture of the problem and only then move forward with a solution that is best for the customer. We recommend that you find a repair facility that uses a similar approach if you want to avoid upsets and save money in the long run. 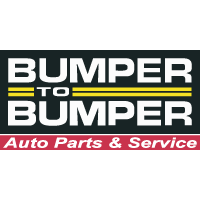 for All of your Auto Repair and Service Needs!